Heartbreaking Cards of Staggering Genius: What's Better Than A Pack Of Cheap Retail Chrome? What's Better Than A Pack Of Cheap Retail Chrome? 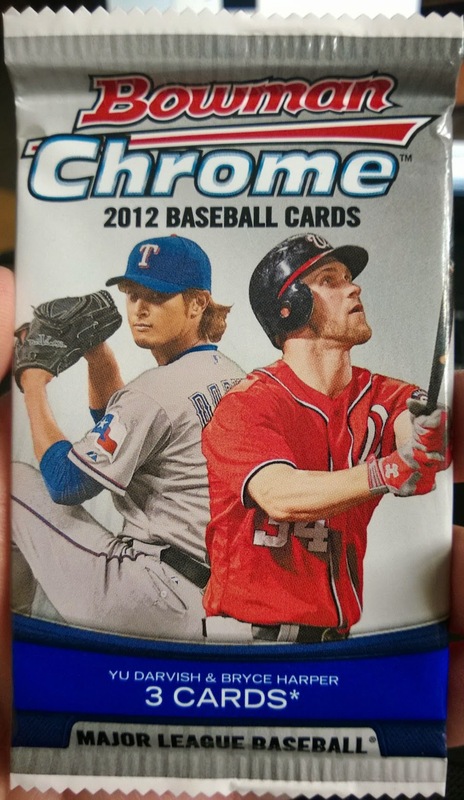 One pack of 2012 Bowman Chrome Retail for $1.50 at Target...I've been toying with the idea of giving up on buying the standard flagship sets each year and just buy Chrome packs instead when those are released typically in the late summer. This particular pack is just a retail version so it only has three cards inside. 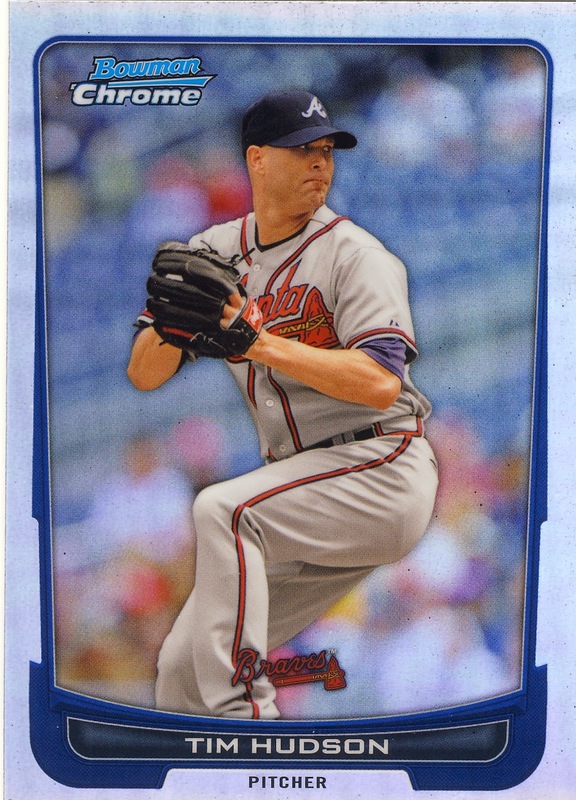 We start with a nice Tim Hudson refractor which looks a bit blue after scanning it. He is still plugging along and is currently the active pitcher with the most wins at 209 currently as I write this. 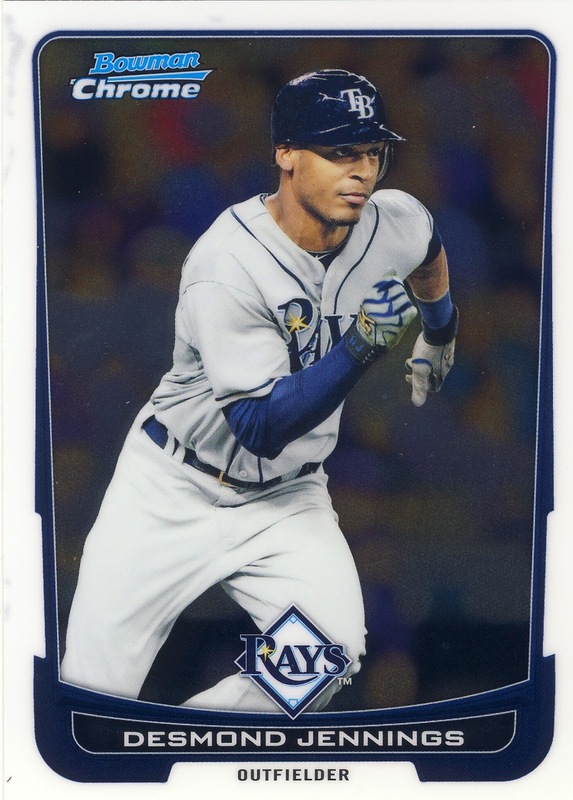 Next up we have Desmond Jennings who was named the American League Player of the Week this past week...and interestingly the winner of the award gets a watch as a prize. 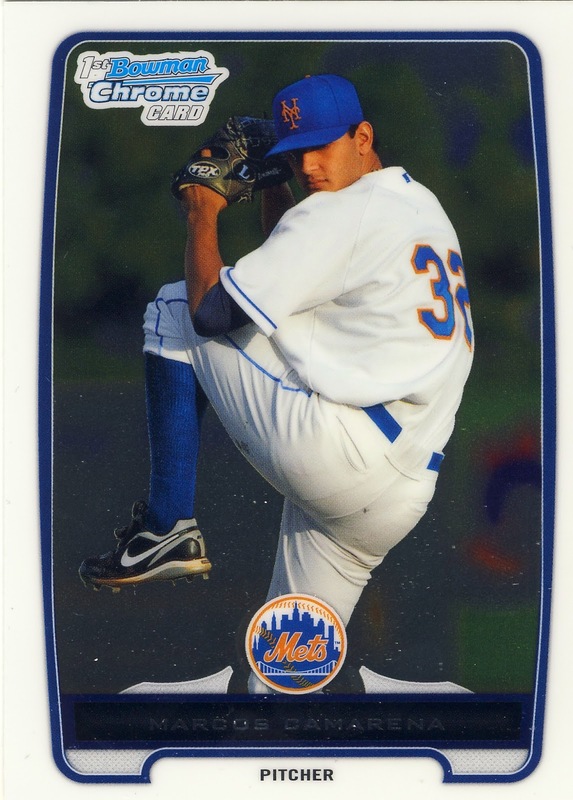 The last of my three cards is of Mets prospect Marcos Camarena...his 1st Bowman Chrome card. He's currently pitching in single A ball and seems to be a ways away from making it to the majors.